The last recorded edition of Let’s Taste for 2017 was on New Year’s Eve, and it was for two 2017 white wines from Moss Wood. Semillon and Sauvignon Blanc are varieties that have a rich and important history in Margaret River, but possibly don’t get as much love as other grapes. I was very interested to see what the 2017 vintage offered in the west, let me know what you think in the comments below! It’s always an honour to taste wines from Margaret River pioneer and icon winery, Moss Wood. On this edition of Let’s Taste I’m looking at the 2015 Ribbon Vale Merlot & Cabernet Sauvignon. Please let me know what you think in the comments below. Moss Wood is one of Australia’s most iconic wine brands, and one of the most important in the Margaret River as one of the first commercial producers. I was excited to be contacted about some of their new releases, and even more excited to get the chance to taste some. Here are my impressions, let me know what you think in the comments below! Moss Wood was the first commercial vineyard planted in the Margaret River region, and since 1969 it has built much of its international reputation on its Cabernet Sauvignon. I was thrilled an honoured to be sent a bottle of the 2014 vintage and be able to share my impressions of one of Australia’s most iconic wines. Let me know your thoughts below, what’s the best Australian Cabernet Sauvignon you’ve ever tasted? On the second of two parts looking at Moss Wood wines, I taste four of their red wines. The Margaret River region is famous for it’s red wines made from Bordeaux varieties like Cabernet Sauvignon and Merlot, and three of the four wines in this tasting are dominated by these grapes. The fourth is made from a well-known grape variety, that is not very common in this region; pinot noir. Moss Wood is one of the most historic estates in the Margaret River region, with original plantings occurring in 1969. They were generous enough to send me some samples, which I will taste across two editions of Let’s Taste. On this edition I look at two of their white wines, made from varieties synonymous with the region. At home for dinner I had a look in the Intrepid Cellar, I pulled out two iconic Margaret River Cabernet Sauvignon wines and did a Let’s Tate comparison. The first wine was the Leeuwin Estate Art Series Cabernet Sauvignon 2000, which I bought some years ago on Langtons. 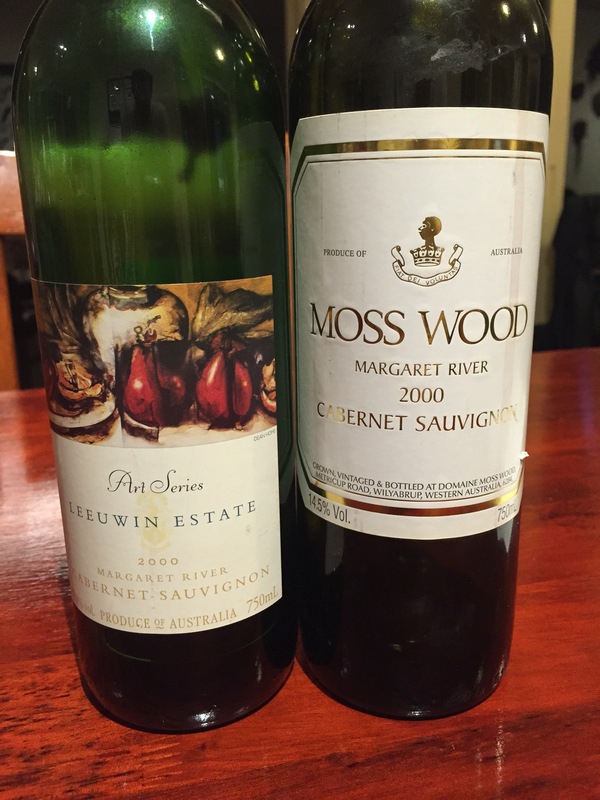 The second was the Moss Wood Cabernet Sauvignon 2000, which I bought at a local bottle shop. Let me know what you think of my impressions, and be sure to subscribe to the YouTube channel for more videos like this.